Professional chainsaw users need motor equipment that can perform in the toughest conditions and make it out the other side unscathed. Professionals use chainsaws for all kinds of applications, including felling trees, pruning and less commonly for cutting concrete, ice, stone and brick. In this review, we’re going to investigate three chainsaws to find the best professional chainsaw on the market – the one that performs best for commercial use day after day. The Husqvarna 455 Rancher is a gas-powered chainsaw with X-torq engine technology which the manufacturer claims reduces fuel consumption by 20 percent and emissions by around 60 percent. The saw also comes with a replaceable air filter. But is it any good? One good thing about the saw is that it’s relatively straightforward to set up. This is good news for professionals who just want to be able to take the saw out of its box and start using it 10 minutes later without having to worry about setup. The saw is also very light and easy to pick up. Again, this is a positive for professionals who might be using the saw for extended periods as part of their job. However, there are some serious issues with the saw compression. While Husqvarna offers professional customers a good experience initially, quality problems with the saw become apparent after 50-plus hours of use. One of the problems has to do with the compression chamber. This saw has a tendency to lose compression and stop working during the middle of a job. It’s not uncommon for the cutting chain to stop moving entirely, leading to frustration and reduced productivity. Long-term users of the Husqvarna, therefore, will need to regularly order spare parts and get their chainsaws repaired at professional service shops. When time is of the essence, and you need a chainsaw you can rely on for daily use, that’s not entirely ideal. While the Husqvarna 455 initially provides a good impression, long-term use reveals this chainsaw’s flaws. 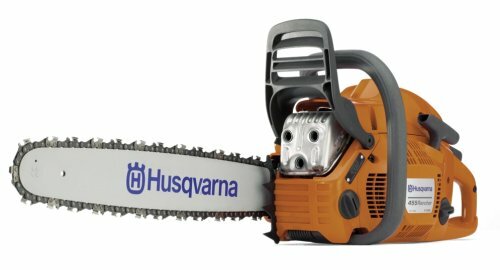 If the Husqvarna is to be considered the best chainsaw in its class, the company needs to work on the glaring reliability issues. Right now, many saws aren’t making it past the first 100 hours without needing parts replaced or experiencing a loss of compression. Bar oilers are leaking, saws are ceasing to function, and worse still, customer service from Husqvarna is often lacking. 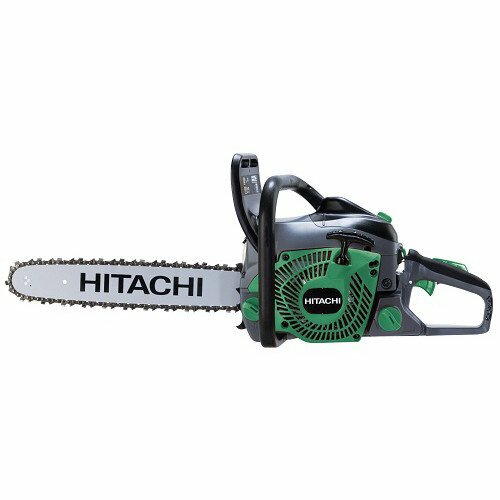 The Hitachi CS51EAP chainsaw is a commercial-grade chainsaw designed to provide a powerful cutting action while minimizing fuel consumption. The saw comes with an auto return choke for easy start-up, a decompression valve, and a primer bulb. The oiler is automatic or adjustable, allowing the user to determine the amount of oil going to the chain. The distinct advantage of the CS51EAP for professional users is the value for money it offers. It is around 20 percent cheaper, in general, than the 455, and offers a high build quality for the price. The saw cuts without much fuss, making it a joy to use for longer, more involved jobs. Professionals will also benefit extensively from the vibration-damping technology on the unit. The technology helps to prevent the shuddering usually transmitted through the chassis of saws during use, preventing your hands from getting shaken up and feeling sore. There’s also a rubber bumper and pin mechanism that makes the action of the springs in the handle much softer – a great innovation directed at the commercial saw market. Like Husqvarna, however, the CS51EAP is dogged by reliability issues. The saw has frequent problems with power to the cutting chain, as well as issues starting. Gas-powered saws have complex starting mechanisms. But it seems that Hitachi are yet to master them, and it can make for a frustrating experience, especially for commercial users who demand reliability. The costs of repairing the chainsaw are also high, usually greater than the cost of buying. Because of the poor reliability of the saw’s power system, some users may have to go to the repair shop once per season to have the same problems sorted out. Handling may also be an issue for some professionals because of the saw’s tendency to heat up after about 30 minutes of continuous use. Like the 455, the Hitachi CS51EAP is dogged by reliability issues. As a result, it’s not the ideal saw for long-term professional use. Coupled with poor reliability, the saw has a tendency to heat up during extended use, making it unsuitable for loggers, sculptors or construction workers. Though Hitachi has taken vibration seriously, it’s not enough to compensate for the other flaws of the unit. The Echo CS-590 is marketed as a timber saw. It’s of simple construction, powered by a 59.8cc professional-grade, 2 stroke engine and operating under 20 bar of pressure. The CS-590 differs from its bigger brother, the CS-600 in that it has a plastic handle, rather than a metal one, a non-replaceable roller nose and a clutch drum with an attached sprocket, rather than a replaceable rim sprocket. As a result, one might expect that longevity on the unit would be an issue. However, Echo allows CS-600 parts to be fit to the CS-590 model, meaning that if professional users do experience issues, they can quickly resolve them with the company’s best replacement parts. The good news, however, is that many users won’t ever need to seek replacement parts. The Echo is very reliable, maintaining the correct pressure and power output throughout its operation. The starting mechanism also appears to be reliable, meaning that professionals won’t have to battle with the saw to get it working, although some users have reported issues. The only real negative of the saw is related to product quality control: Echo sometimes fails to ship the CS-590 with all the relevant parts. Overall, the Echo CS-590 offers professional users what they’re looking for: a chainsaw which does the job, day in, day out. Although it’s not the lightest chainsaw in the group, it will get the job done. The fact that Echo provides upgradeable replaceable parts is helpful for commercial users who want to improve the longevity and reliability of their units. The Verdict – Which is the Best Commercial Chainsaw? 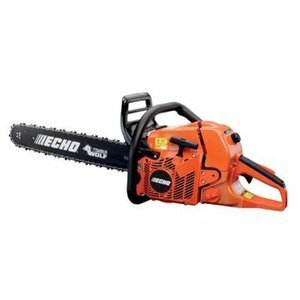 The Echo CS-590 is the best professional chainsaw of the three here. The reason? Superior reliability. Although the other brands have a lot of potential, thanks to innovative features like being lightweight and vibration-damping, these aren’t enough to overcome their flaws. 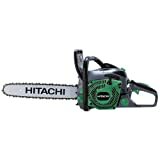 Both the Hitachi and Husqvarna 455 have too many quality-control issues to recommend. Both saws fail to offer professionals the reliability that they demand out in the field. Although the CS-590 is the simplest saw in this review, this is its strength. Simplicity means that there is less to go wrong. As such, the conclusion of this review doesn’t have so much to do with the relative strengths of each of the products, but the fact that some products work reliably when others don’t. Echo only make commercial grade saws, and their experience shines through here with the CS-590, a saw which continues to work, even after many others have been thrown away.